From childhood to adulthood, the fun just never stops as we can the explore 170 miles of trails in the STL region with GreatRiversSTL. These are speciality tours and are designed for Families with "fun and funds" in mind. 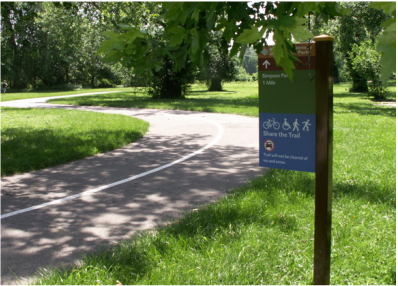 Grants trail is an 8-mile long, flat and wide path in southwest Saint Louis County. It takes you past wooded areas, the Budweiser Clydesdale pastures and former President Ulysses Grant’s home. Grants trail offers parking lots in various locations, and plenty of bathrooms, vending machines and water fountains. The trail offers some shade and is relatively quiet except for weekends, when it can get a little crowded.